Wherever you may be in researching your family history I can help unravel the mystery of your past. 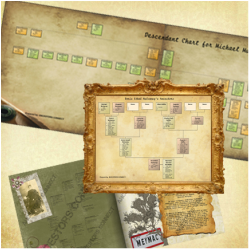 Whether you’ve just decided to undertake this exciting journey or are knee deep in family photos, documents, and clippings, ANCESTORS CONNECT is the right guide. All services are provided independently at an hourly rate basis. Expenses such as microfilm rental, cost of record retrieval, and other miscellaneous costs are billed separately. For family history research and gift certificates, there is a 10 hour minimum required to provide useful results. There is no charge for the initial consultation (45 minutes). After discussing your needs and desired project, a specific contract assessing all agreed matters is drawn for your approval. A retainer fee of half the agreed total costs is required to begin work. Balance is due and payable upon completion of the project unless otherwise specified in our contract. ANCESTORS CONNECT accommodates services for the client’s convenience and specific needs. 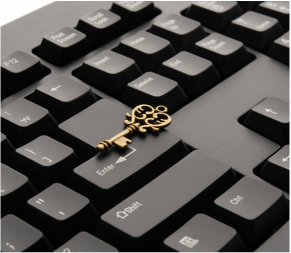 We utilize state of the art technology for the preservation and security of documents and findings. If face-to-face meetings aren’t possible, we use Skype. All other common means of communication are used also. ANCESTORS CONNECT is committed to executing research to the best practices standard of genealogy. We abide by the Association of Professional Genealogist's ﻿﻿Cod﻿e of Ethics﻿.﻿ In case of uncovering negative evidence of a family history, fees and expense reimbursement still apply. © 2015 Ancestors Connect. All Rights Reserved.